Bob Johnson, President of Pacific Industrial Coatings (PIC) LLC, wants to make one thing clear: His company doesn’t exist to merely fix damaged roofs. In fact, the local company, founded in 2009, does so much more to strengthen Honolulu’s buildings and the overall community. 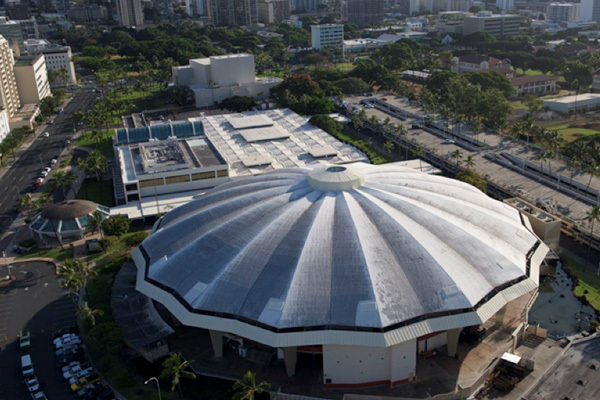 Honolulu, HI, March 27, 2015 – The city of Honolulu is refurbishing the roof of the historic Blaisdell Arena on Ward Avenue. The roof will be repaired and recoated over the course of the next six weeks and will not interfere with any scheduled shows.